The issues with the locations search feature of the widget with Edge 15 browser are now solved. The event : bridge.widget.search.results as been updated to be produced when the results are displayed by the widget. Events are now available and do not lead to widget crash anymore for IE11 Browser. It is no more allowed to proceed search without any terms. Compatibility improvment with Internet Explorer 11 browser. Debounce time augmentation (change 300ms to 500ms) in order to adapt to visitors reading speed. Phone numbers with spaces are now clickable (Call To). Widget is now compatible with Local Pages deactivation for only some Locations (the link toward the Location Page is hidden for Locations without any Local Pages or Website). If the location has no local page, the first link can lead to the "Website" URL, defined in the administrative information of a Location through the Back Office. 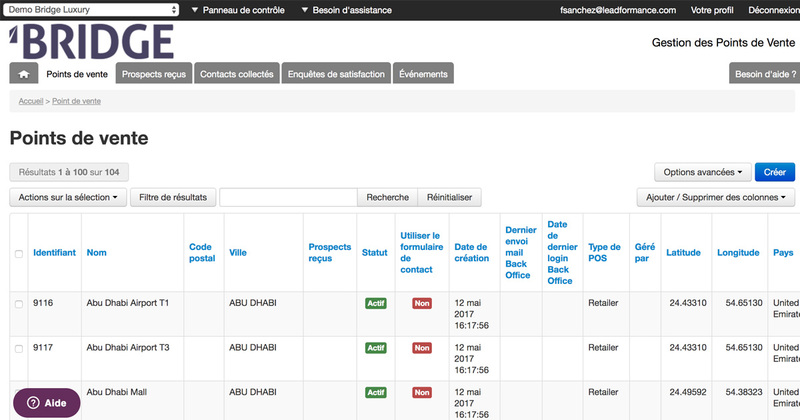 The opening status is now displayed in the Locations information in the results list. 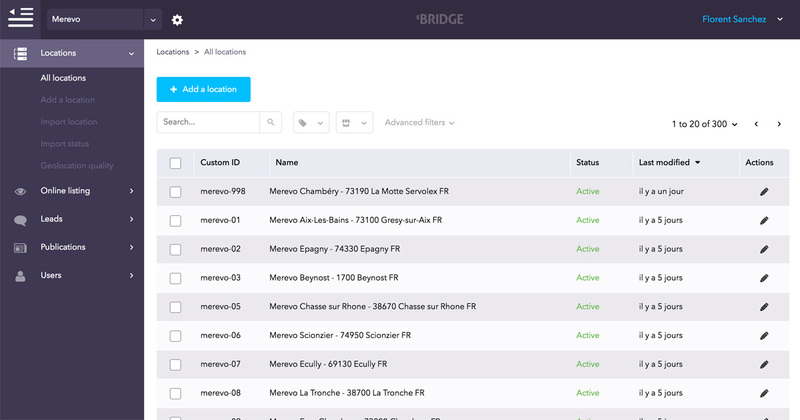 The Products and Services icons (beforehand defined by a BRIDGE administrator) can now be displayed for each Location, in the information from the list of results. The user can now request the route to the Location, using as starting point his localization. The route is displayed in Google Maps, depending the device : either in another browser window, or in the dedicated application. To improve results relevance, the search done through a text search is first traduced in a geocoded search, using the GPS coordinates of the search. As a fallback, the search processes a full-text search. A new attribute data-custom-redirection-url allows to define the customizable URL which is build from the CustomId as a setting (for further information: https://help.leadformance.com/hc/en-us/articles/115001342113-Adding-a-customized-link-or-action- ). A numbered marker is now available for each location, in the results list. The number on the marker allows to find the Location on the map, by finding the same numbered marker. The widget offers a fast and simple way to integrate a store locator on your own website. It is provided styleless, so you easily customize it.